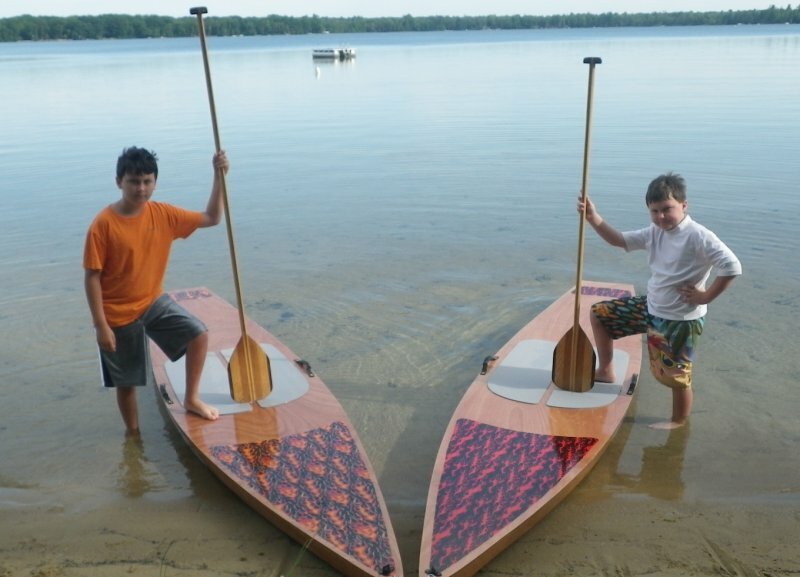 Alex Braden, age 7, and his brother Andy, age 9, helped their grandfater, Charlie Brown, build two Chesapeake Light Craft paddleboards. during the winter of 2010 and 2011. 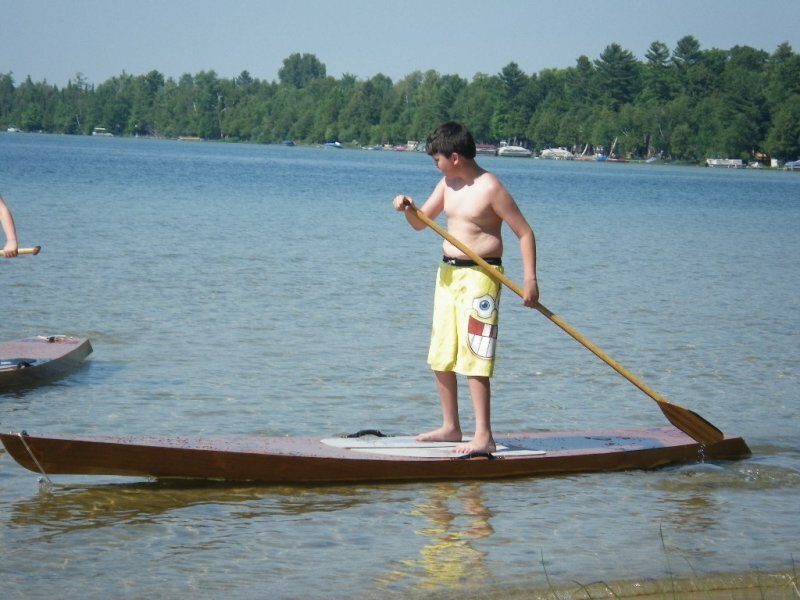 Built from kits, the SUPs are 14′ long and just under 30′ wide. Alex named his board WHAT’S SUP?, and Andy’s board is SUPER SUP. The team are grateful for guidance from Larry Froley, whom Charlie describes as a “surfing and paddleboard guru.” Charlie designed individual paddles for the boys. 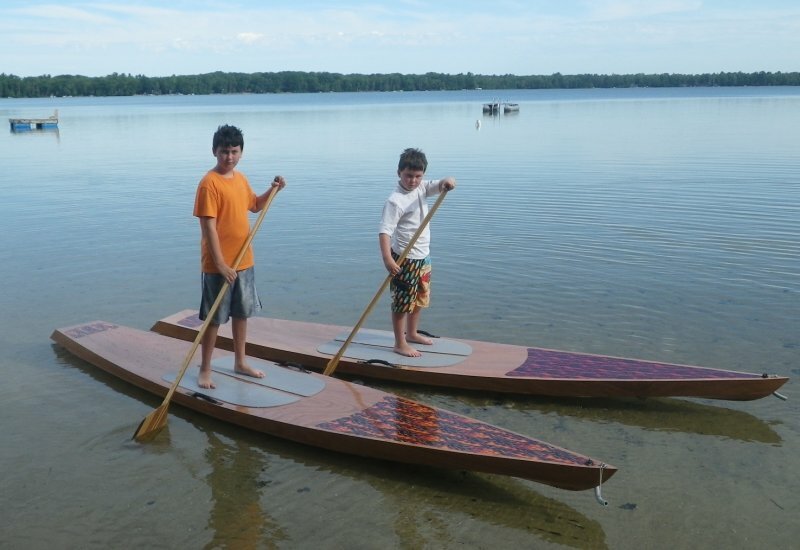 He adds, “Manufacturing their SUPs gave both boys the great satisfaction of not only learning their grandfather’s woodworking skills, but how the process of creating something from raw material to a finished product can instill an appreciation for crafting by hand an attractive and unique paddle board.” They launched their boards on Birch Lake in Elk Rapids, Michigan during the summer of 2011.